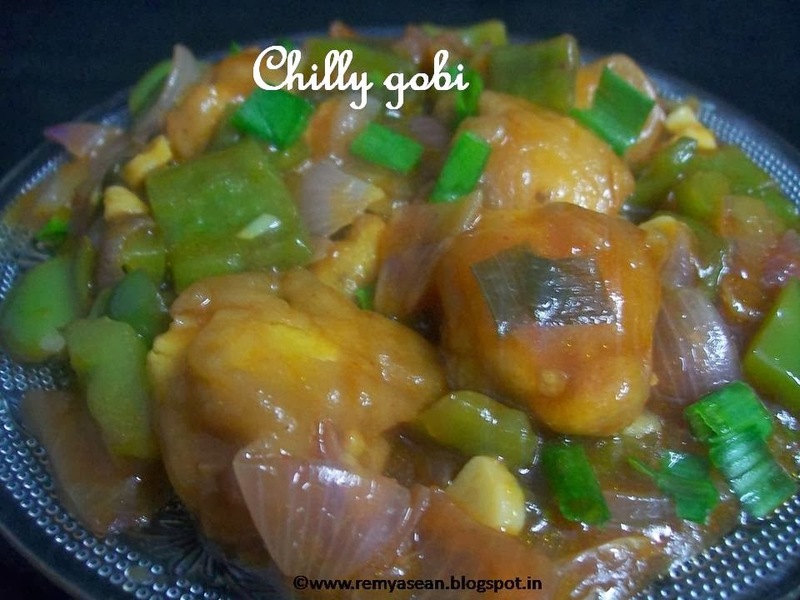 Again a Chinese recipe.Whenever I prepared it for my guests I got complements.So I'm sharing the same recipe with you.You can add red chilly sauce ajinomotto and food colour too.But I avoided all those things but still taste was superb. Separates the florets of cauliflower and wash it carefully .I used to dip it in hot water by adding turmeric powder and salt. Mix all the ingredients listed under "for batter preparation".It should not be too thick or runny. Dip the florets in the batter . Heat the pan with oil and fry the florets.Drain the excess oil and keep aside. Heat the pan with oil and add chopped green chilly,ginger and garlic.Saute it well till the raw smell leaves. Add onion and saute it well. Add capsicum and spring onion.Stir it well. Add salt ,soya sauce and tomato sauce and mix it well. Mix 1tspn cornflour in water and add to the gravy. Mix it well and stir well until the gravy gets thick. Add cauliflower florets and mix it well with gravy. Serve it with fried rice or roti. 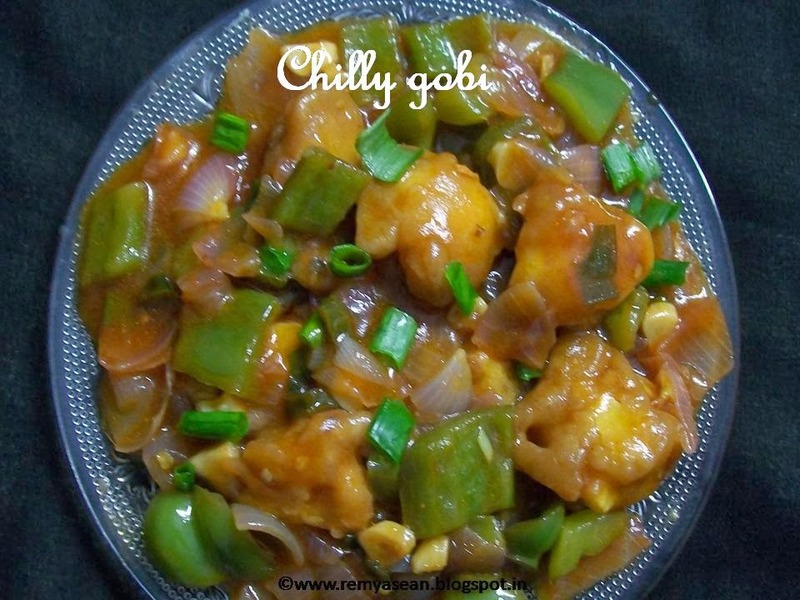 Delicious gobi... recipe..my kids love chinese food..
Ahh! My Fav one :) Tempting me a lot..